Can someone verify if it works or not? 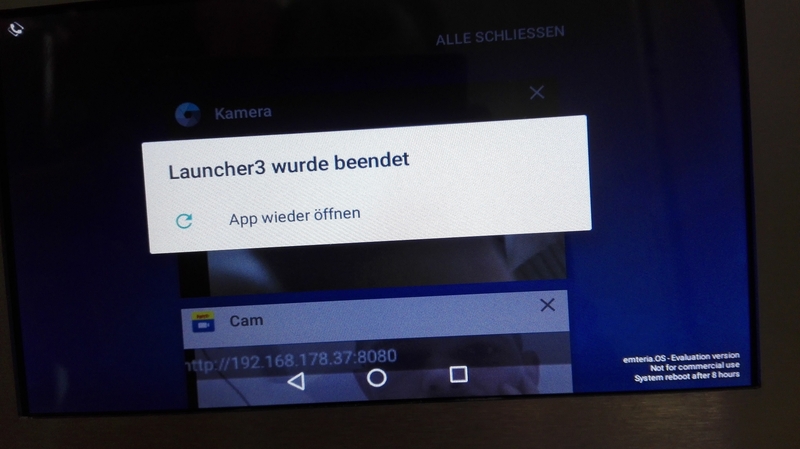 does the screen message look like that ? You get that message after you open the Email application? Video recording is not supported yet, perhaps that's why your system hangs. What about the Email application? Can you open it now and let me know if it works or not? LOL, very nice discussions forum, noone wanna spare one second to click an icon since a week!! I figured it out anyway, the Exchange Services is missing. @kalkov , do you have any idea why it was removed? @roxette, which OS version and which email application? I have no issues starting the standard email app included in emteria.OS. I'm referring to the standard email application. Now it's fixed however how can the push email notifications work without Exchange Services? To be honest, I don't know. In the log, some exchange packages seem to be included. I tried some other distro, the Exchange Services must be running in the background. Does the Automatic (Push) option exist in your Account options as in the above screenshot? Interesting. 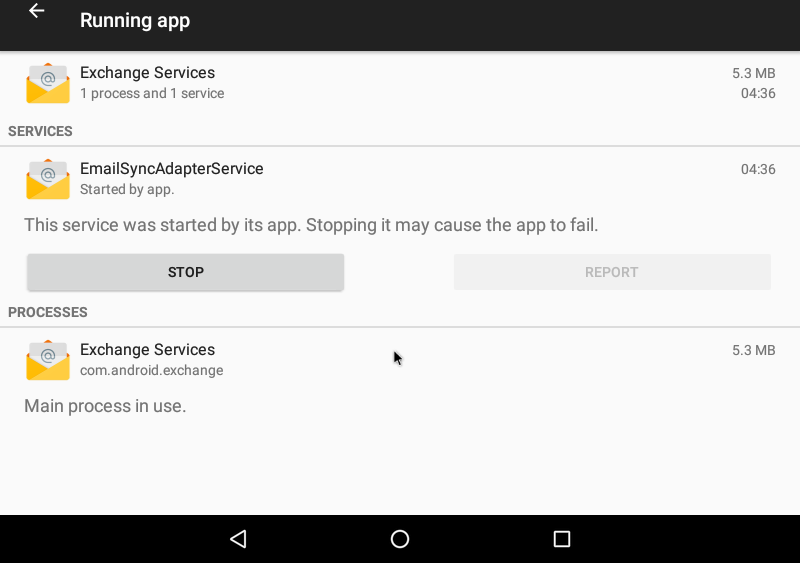 Exchange isn't part of the official AOSP since Android 6 (https://android.googlesource.com/platform/packages/apps/Exchange/), as they made it a part of proprietary GApps. I can try adding a third-party project to see if there are conflicts with the existing configuration. If there are none, I don't see any reasons for not including it by default. @roxette, thanks for pointing it out! a) Those projects or dependencies change and become incompatible with current AOSP. b) AOSP changes and becomes incompatible with those projects (e.g. major version upgrade). I don't think we can expect Google to return the Exchange project into AOSP, so here is a question for our community: would you like us to do so and introduce additional dependencies (which might slow down the developments in future) or is it maybe a better idea to make the Exchange package installable (something like https://www.apkmirror.com/apk/google-inc/exchange-services/ or a self-contained app like https://f-droid.org/en/packages/com.fsck.k9/) on the top of emteria.OS? Thanks @kalkov for looking into this matter, i would vote for option (2) make Exchange Services package installable. However, would you check the 2nd screenshot again? 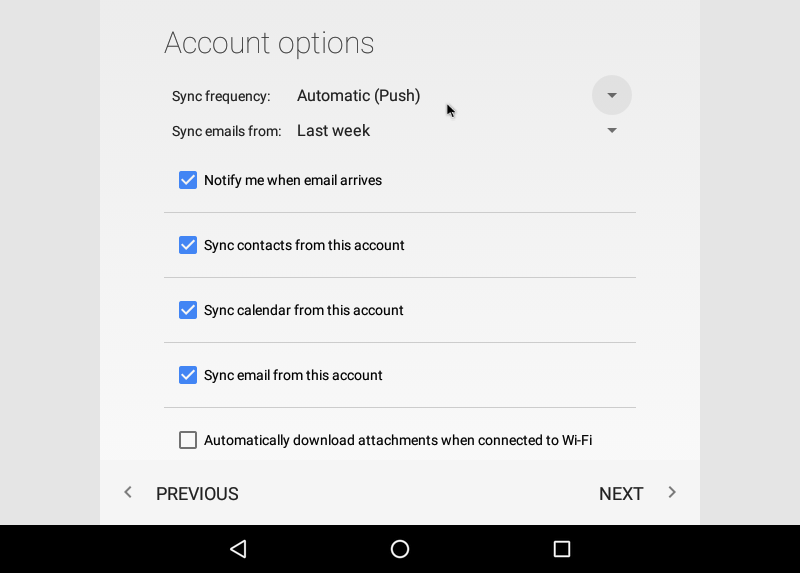 In Emteria's email app there is no Automatic (Push) or sync contacts, calendar from this account. Would those options appear after installing the Exchange Services package? Or the Email app in screenshot is a newer version?